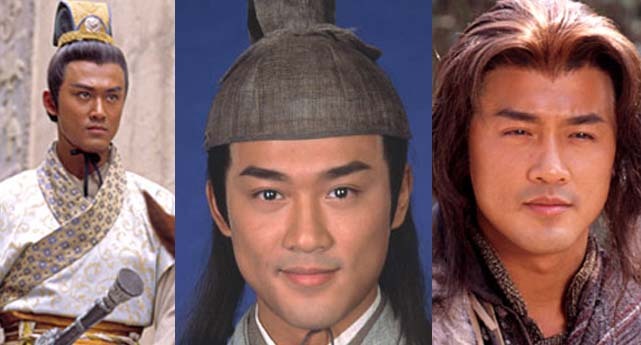 It’s an open secret that favorite leading man Raymond Lam Fung got a nose job (or rhinoplasty) in his early TVB career. Some fans even speculated that Raymond may have receive multiple nose jobs in several stages to continuously refine his profile. Let’s take a look at Raymond’s nose over the years and see if we can spot any discernible “modifications”? IMO, Raymond may have received a minor nose lift in 2001 already? Compared to his acting class days, his profile seems a bit different here. 2002 in “Eternal Happiness” Raymond’s nostrils flared wider back in 2002 than they do presently. 2003 in “Lofty Water Verdant Bow” His nostrils were still wide at this point. 2004 in “Twins of Brothers” Rampant rumors spread that Raymond heightened the bridge of his nose and narrowed the flare of his nostrils during the filming of “Twins of Brothers” in China. After a rhinoplasty procedure, the patient apparently has increased swelling in the nose area for a temporary period. 2006 in “Lethal Weapons of Love and Passion” The swelling is gone and what’s left is a very masculine, structured nose lending a very strong profile. It compliments Raymond’s features very well! I like this final phase! Credit: Thanks to Wymin for submitting the Raymond Lam photos! Michael tse’s nose reminds me of MJ’s nose. But I think that IS his naturally like that, looking back at his old photos… his nose has always been the same. And if he did get a nose job how come it looks so bad? I think he’s decent looking but just the nose a little weird. I just check back ‘Wind Fire Sea’ and ‘Young & Dangerous’ days pictures. Agree with you. His nose looks the same. Could it be like Koreans he did something to the nose before entering show biz? ray did nose job because he has problem for take breathless. And his breathlessness is caused by the fact that Mavis was smothering him? The article is even before he met her. Can you have a better sarcasm? You don’t get a joke do you? I get your joke but you can have better one. I have faith on you. But he really has prob with his nose (breathless). If LF falls ill before his concert, they can put his wax figure on stage. Wax, plastic, both man-made products. Fans will never know the difference. fox your are too smart , know how to reply this comment.